Democrats reportedly working on new resolution amid pressure from party's left. "We need to denounce all forms of hate." Democrats reportedly are working on a new resolution condemning anti-Semitism after members of the party’s black and progressive House caucuses complained that it appeared to single out Rep. Ilhan Omar. Multiple reports said there were emotional exchanges Wednesday at a closed caucus meeting, with Jewish members who advanced the resolution, including Rep. Ted Deutch, D-Fla., saying that Omar’s recent claim that she felt pressure to pledge “allegiance” to Israel was hurtful. Omar, a freshman Democrat from Minnesota, did not speak, but her defenders said she was being singled out at a time of attacks on other minorities. Rep. Ayanna Pressley, D-Mass., like Omar a freshman, told The New York Times that the resolution, which was supposed to be voted on Thursday, should include Islamophobia in its condemnation. Rep. Nancy Pelosi, D-Calif., who attended the meeting, said she is ready to reconsider the resolution, according to the reports. 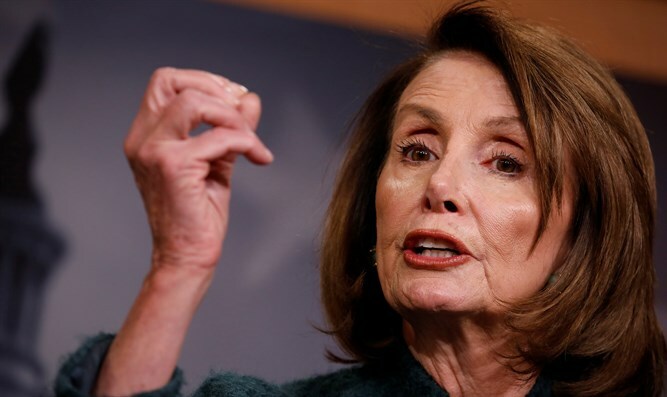 Pelosi helped draft the resolution with her whip, Rep. Steny Hoyer, D-Md., and leading Jewish Democrats, including Deutch, Lowey, and Rep. Eliot Engel of New York. The resolution as it stands condemns the “dual loyalty” trope Omar invoked, but also condemns tropes that Democrats have accused leading Republicans of peddling, including the claim that rich Jews buy political favors. A Washington Examiner reporter said on Twitter that Engel’s committee will draft the revised resolution. Omar is a member of the committee, and Engel, while he has publicly rebuked Omar, has said he will not call for her to leave the influential panel. Sen. Bernie Sanders, I-Vt., who is running for president on the Democratic ticket, spoke out against the resolution. Also weighing in was Sen. Kamala Harris, D-Calif., another presidential candidate.